Federated members benefit greatly from a diverse power supply mix providing the most reliable electricity at the lowest possible cost, while maximizing “clean” renewable energy opportunities as they are made available. Federated and its wholesale providers are well on our way to reaching and exceeding this standard as the bar raises. When you factor in that 11 percent of the energy we receive comes from the hydroelectric power plants along the Missouri River Basin of our hydroelectric power contract, we exceed today’s standard and will continue to do so for many years. Unfortunately, these hydro resources are not recognized by the states plan, but do make a difference when you look at the overall portfolio and the socioeconomic benefit derived from the zero carbon emission facilities lowering our carbon footprint. 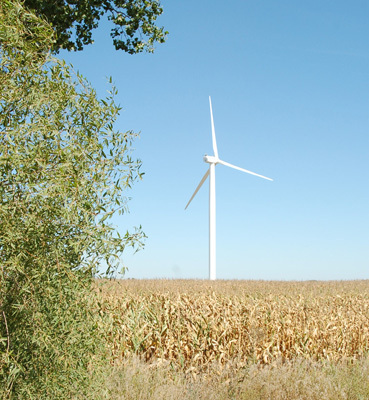 Federated members also have the benefit of owning the 2.1 MW wind turbine just outside Welcome generating more than 7 million kilowatt-hours per year. That’s enough to supply for about 585 homes using 12,000 kWhs per year with “clean” renewable energy. The Federated Board of Directors is completely on board with the use of renewable energy in our power supply mix and have recently approved such a resolution. In addition to the clean energy initiatives, Federated participates in the Conservation Improvement Program that provides rebates to members for energy-efficient lighting, motors, appliances, heat pumps, air conditioners, along with custom rebates as needed. Coal and natural gas continue to be a major source of our supply; as technology changes, so will the supply source. With wind and solar being an intermittent power supply and the battery storage technology a few years away, we need a diverse generation mix in order to accomplish everyone’s energy needs.